Business leaders must continually ensure managers have a clear understanding of their organization's goals and what's expected of them. 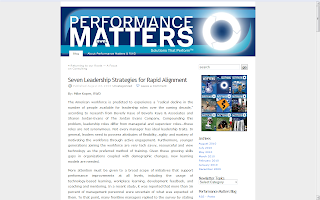 Every workforce management initiative must align with the company's strategic planning. Mike writes, "In general, leaders need to possess attributes of flexibility, agility and mastery of motivating the workforce through active engagement ... Leader’s communication must progressively articulate the challenge of the mission while accentuating the conditions. In short, leaders must ensure clarity of expectations." Mike goes on to describe seven rules of engagement to help leaders communicate their organization's business objectives to managers and clearly set performance expectations. He also talks about how business leaders can determine whether their training and learning initiatives are aligned with their strategic planning initiatives. His article is a good read for business leaders across industries, and underscores the importance of finding and creating organizational value through human capital management. What are your thoughts on Mike's advice? Agree, disagree? Earlier this week we posted our latest podcast with Dr. Petra Bosch, a professor at Aalto University who is studying the use of professional virtual worlds with her colleague, Dr. Anu Sivunen. The first phase of their research project, "ProViWo," is now complete, and we learned about what they studied and their findings. 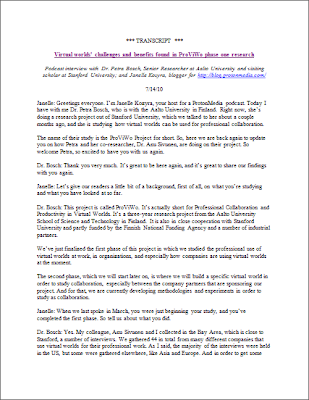 If you'd rather read through our interview, here's the complete transcript, proofed for clarity. 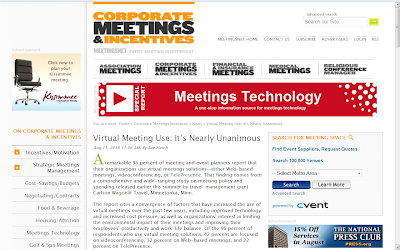 If there was ever a doubt that virtual meetings are here in full force, this new finding should dispel it. Some 96 percent of meeting and event planners report that their organizations use virtual meeting technologies -- either Web-based meetings, videoconferencing, or telepresence -- according to a Carlson Wagonlit Travel study. This probably isn't surprising at first blush. But based on what we're seeing in the marketplace, I think it is. The report cites several factors driving the use of virtual meetings, including improved technology, increased cost pressures, interest in limiting their meetings' environmental impact, and interest in improving employees' productivity and work-life balance. If these are the business objectives that companies want to achieve, they're turning to the wrong technology. In our customer interactions and discussions, we often hear complaints about the lack of engagement and boredom they experience with Web conferencing services. What they're looking for is a virtual workplace that lets them increase engagement, collaboration, and productivity, while driving down travel costs and carbon emissions. Sure you can meet almost anytime, anywhere right now using 2-D, "flatland" conferencing services. But we can enable a highly productive, collaborative remote workforce with 3-D virtual workplaces. What's the case for your organization? How are you using virtual meetings, and how do you think virtual meetings will evolve over the next few years? Feel free to share your stories in the comments. "Today I think it’s safe to say that a majority of the tasks that an individual needs to complete can be done just as effectively sitting on a beach in Maui as they can sitting in a cubicle." Anyway, my point isn't that the beach is a cool place to work. It's that our workforce is more mobile than ever, and remote working continues to gain in popularity. 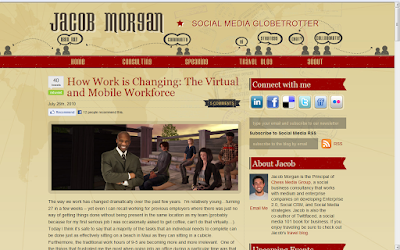 And in his post, Jacob breaks down what he finds to be the five crucial elements to a successful virtual workforce. They're worth a read. What are your thoughts on the virtual workforce? What are your keys to success? I left my own in a comment on Jacob's post, but I'd be interested to see what you think as well. 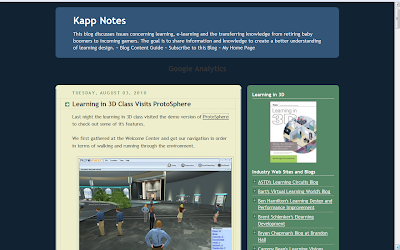 Dr. Karl Kapp regularly takes his students into virtual world platforms as part of the learning in 3-D class he holds at Bloomsburg University. This week, ProtoSphere was on his agenda, and he wrote about his experience on his blog. How did things go? What did his students think? Flip to Karl's post to get his reaction in his own words. Also be sure to read through the comments for his students' feedback. We appreciate every time Dr. Karl takes his class into ProtoSphere. Thanks dude! One of the things that has been coming out of some recent customer conversations I've been a part of is how to leverage employees' "tribal knowledge." This is a fancy way of describing their experience and history at the organization. How can we share that with new, younger employees? For example, I was talking to a customer who has been told explicitly by the younger crowd that they often learn more from their older, more experienced colleagues through live classroom training sessions, compared to taking e-learning courses by themselves. 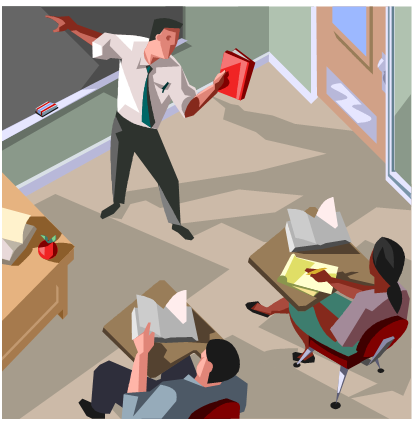 They're finding in-person teaching is a more effective way to share, gain, and retain knowledge than the individualized, more "self-taught" approaches that you get from e-learning programs. Our customer's concern is that the industry's transition to solo e-learning-style training will hamper knowledge transfer overall. Some of the risks they see include resistance to change; elimination of most of the social contact and interactions; lack of direct mentoring, coaching, and leadership; and increased sense of remoteness and disconnect. About 10 years ago, we saw the pendulum swing from a focus on classroom-based instruction, to a focus on e-learning-based instruction. This removed live, human interaction (or human factor, as we've referred to it on our blog). Now customers are asking us how they can get that back. Meanwhile, they have tightly managed travel and venue budgets, and/or their training facilities have been recently shut down or turned into cubicle farms. It's clear that trainers are seeking to put the human factor back into training and add socialization to the classroom, while putting a lid on travel costs. Effective knowledge transfer and knowledge retention simply can't happen without the human element. We've had a lot of interest in our ProtoSphere 1.5 beta release since we made it available last Monday. Our development team has been getting some great feedback on the new features, what users like the best, and suggestions for improvements. Thanks to everyone who's taken part so far! 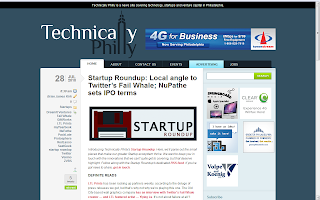 Technically Philly also featured our ProtoSphere 1.5 beta release in their coverage of local industry news last week. Flip over to get their reaction, and also peruse what else is happening around the Philly-area tech scene. Thanks to the editors for continuing to follow us. And if you haven't tried ProtoSphere 1.5 beta yet, what are you waiting for? Give it a whirl by downloading it from our website, and let us know what you think in the comments. 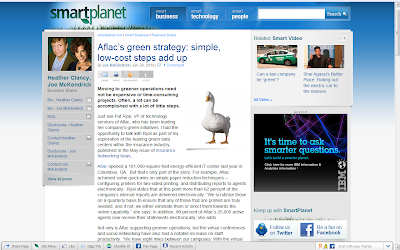 Our customers' creativity and achievements never cease to impress me, and the media. CIO gave BP its 2010 CIO 100 Award for the company's innovative work in using 3-D virtual environments for collaboration. Congratulations to the BP team! BP is using virtual collaboration technology to hold conferences and meetings for employees located around the world. We documented one of those stories back in February in a case study. BP used ProtoSphere to hold an annual conference for its graduates. The company has since used virtual collaboration technology for leadership meetings, training programs, employee induction programs, exhibitions, and even java breaks. The CIO 100 Awards recognize 100 companies that demonstrate excellence and achievement in IT. They're among the most competitive technology awards given by the media. This year's winners were chosen based on their uncommon, innovative ways for creating new business value through IT. CIO's judges also emphasized projects that helped companies overcome economic challenges. You can hit CIO's website for the complete list of winners and their projects. It's nothing short of impressive, and it's exciting to see what's percolating around the tech industry. Congrats again to the BP team!